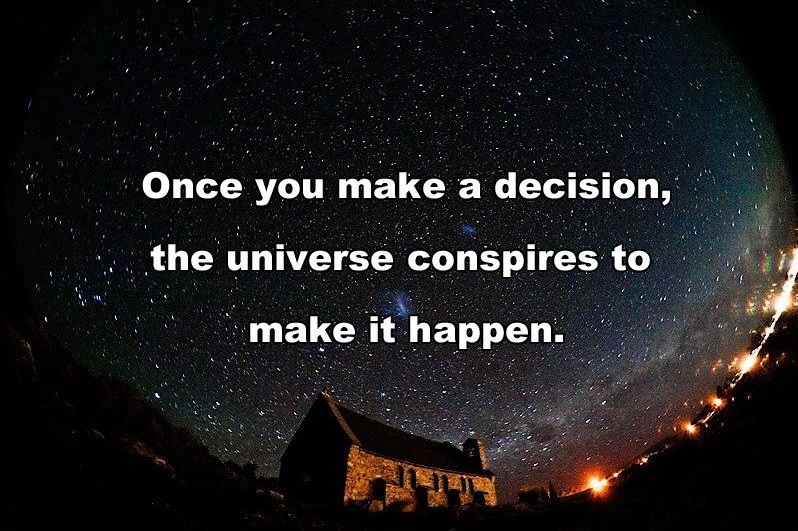 The inference here is that once you decide on something the universe conspires to makes it happen. Actually, it’s less of an inference and more exactly what the picture says. So let’s explore the absurdity of that from two separate angles. Basically, if it’s in the universe it’s part of the universe. 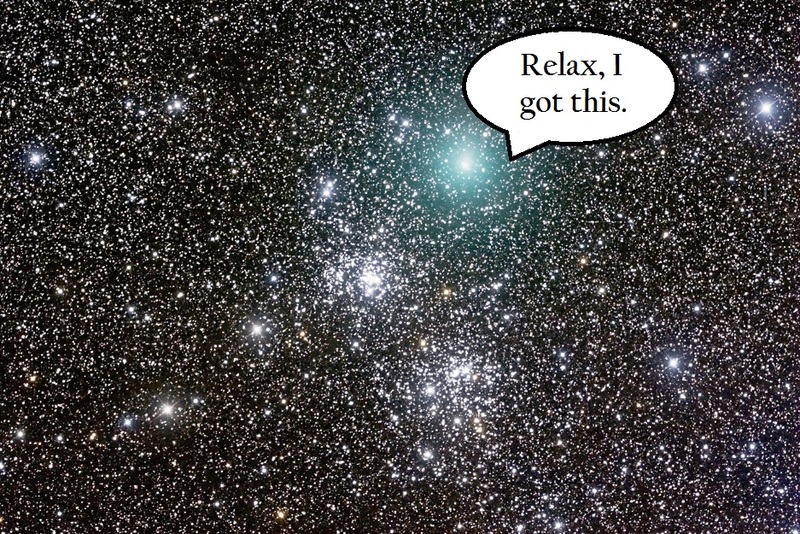 The universe, by definition, can only conspire with itself. Or part of its own self. Which isn’t how the word “conspires” works. You can’t have a conspiracy of one. A physically unattractive, socially uncharismatic person may decide they want to date a beautiful supermodel. A homeless person with no money or means may decide they want to live in an extravagant mansion. A person suffering from an incurable disease may decide they want to overcome their terminal illness. A middle class dreamer from the suburbs may decide they want to own a fully functional jetpack. According to this pearl of wisdom, the very instant he/she has made a decision, the ugly/homeless/sick/delusional person can kick up their feet and simply wait for it to magically come to fruition. No effort required. Needless to say this is NOT how the universe works. Even if you decide harder than you’ve ever decided before, simply making a decision does not grant you the desired outcome. No matter how hard the universe conspires with itself. Previous A Sort Of Homecoming. Next All That I Am. Sweet Christmas! Did I inadvertently create a motivational of my own? !